PowerELab provides design services for many high efficiency, high power density and special application power electronics products, e.g.AC-DC power supply, 80+ server, 80+ ATX, LED driver, electronic ballast, 99+% Eff. Totem Pole PFC, EV charger, DC-AC inverter, battery charger, medical power supply, DC-DC converter, etc. patent licensing, consultancy and training. 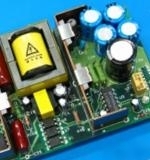 We also developed a LLC +SR digital controller and a free on-line power supply design tool PowerEsim. PowerEsim - Free on-line switch mode power supply SMPS circuit, magnetic, transformer, thermal, stability, Monte Carlo, DVT, MTBF, life, current harmonics, simulation & design software tools.